breeding as well as fish farms. As for the southern town itself it turned out to be quiet and peaceful. navigation point of view the forecast was infinitely varied with fool wind dominating, and our crew got plenty of bracing and striking the sails, with thunderstorms and squalls, or experienced spells of sunny, calm weather. So, despite the low average speed, the leg turned out to be quite informative: we sailed, weltered steep waves as well as anchored; we also visited Valencia, and the most fearless crew members even swam aboard! new cabinets in the living compartment and installed a new fire alarm control panel. 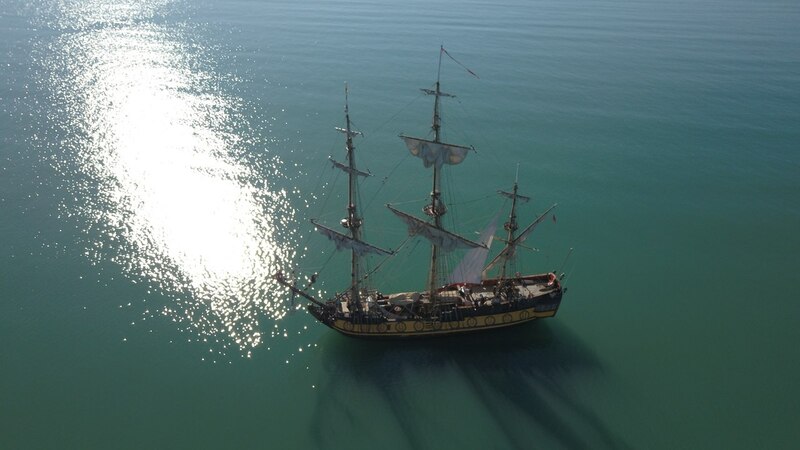 And the ship got also cleaned off «greenery» below the waterline: it was performed traditionally in the «pirate» way — heeling the ship with moving cannons and ballast on one board and fastening the heeling ropes on the mast. Cartagena escorted renovated Shtandart with all her existing naval yacht fleet. In Denmark and Sant Carles we were greeted with admiring cheers and squall winds. them down. The skill of the crew significantly grew, and each new &quot;striking&quot; appeared easier and easier! And here is, finally, Tarragona, an incredibly interesting and cozy town, which traditionally welcomed the ship with open arms. At the weekend the deck of the frigate was full of delighted visitors, and at the beginning of the week we had time to relax and walk around the city, as well as to prepare the ship for a new leg. After hospitable Tarragona we set off back to the sea, heading for Sardinia and Corsica. We stopped at Bonifacio, we just couldn't help passing it by! The entrance to this town in the South of Corsica is so clamped by high rocks that until almost late it seems that the ship is sailing directly onto the shore. What a great place for a secret pirate base! Historically, Bonifacio used to be a stronghold for Genoese merchants for a long time. We suppose that in the XVI century it didn’t differ from the pirate base a lot. In the twenty-first century Bonifacio is living mostly by tourism, and in &quot;low season&quot; the city is quiet and empty. All the rocks, ancient forts and restaurants on the waterfront were at the disposal of the crew! 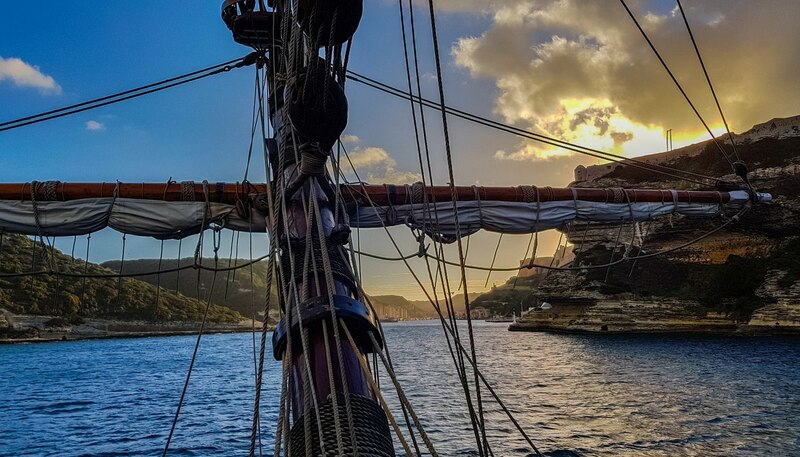 Now ahead of us are new voyages and stops in Spain, Italy, France, Belgium, the Netherlands, maritime festivals and thousands of miles of sailing to our dear Northern waters. And we will certainly tell you about upcoming legs and preparation for them in our regular photo and video reports!